These practice management challenges aren’t going away, and they aren’t getting better on their own. You and your staff are going to have to fix them in your own office. The good news is that you CAN do this—if (and this is essential) you know what to do to get your practice running like a top practice. The problem lies in making sure you have a staff that is taught, mentored, and supported by coaches who know EXACTLY what to do and how to coach them. You, doctor, are too busy, and let’s face it, you were trained to be a doctor, not a business coach. Until now, having podiatry practice management coaches work intensively with your staff has been very expensive. Flying experts in for a day or two can be helpful, but truly getting your office in tip-top shape is a marathon, not a sprint. You can’t solve this in a weekend, but you can beat it with the right help. The Virtual Practice Management Institute is designed to empower you and your staff to become a true A-Team at managing your practice effectively. Our unique, 24/7 coaching and mentoring program has empowered hundreds of doctors to make the income they deserve while getting their nights and weekends back. Managing a medical practice is complicated and our coaches make this complicated process simpler and much more enjoyable. Since 2007, Top Practices—the leading company in helping podiatrists market and grow their practices—has been teaching doctors how to be better practice leaders and managers. 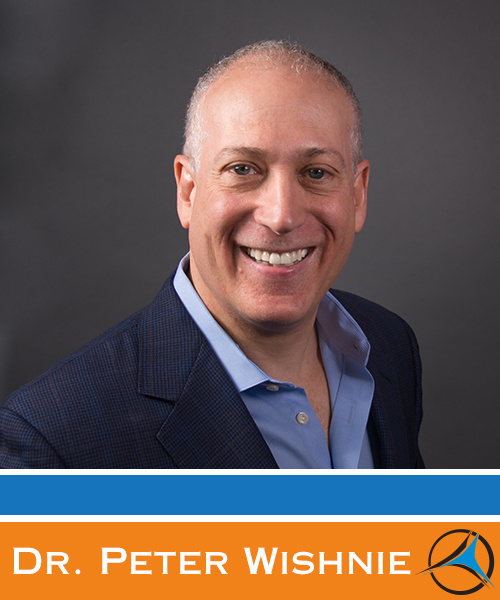 Dr. Peter Wishnie, a podiatrist and the founder of Family Foot & Ankle Specialists in New Jersey, is in the trenches every day with you and other practicing doctors who are also small business owners and he deals with the same problems that you do. Dr. Wishnie is now mentoring, coaching, and guiding his fellow doctors to support their staff as they learn how to manage a medical practice effectively through membership in the Top Practices Virtual Practice Management Institute. Have a question about managing your practice more effectively? Your practice simply becomes a member of the Top Practices Virtual Practice Management Institute for a low monthly membership fee. There is no extended contract; you can quit your membership at any time. Then, any and all staff members are given access to the Institute’s programs. Regular coaching and mentoring every week by the Top Practices Management Coach, Tina Del Buono and other experts in practice management. Access to the Top Practices Virtual Practice Management Institute Library, which includes full training modules in all aspects of practice management that can be studied and reviewed by your staff (and you) 24/7. A special monthly program for the doctors in the practice led by Dr. Peter Wishnie, that mentors and coaches you to support your staff so that they can manage your practice at its optimal level. This is designed to help the busy doctor who doesn’t have much time to learn practice management but needs to make sure his or her staff is performing like an A-Team. Access to professional development courses from Tina Del Buono and Dr. Peter Wishnie. As a member of the Top Practices Virtual Practice Management Institute, you will be able to learn not only from the experts but from other practices like you who are solving their problems and succeeding. This is a hallmark of any Top Practices program. 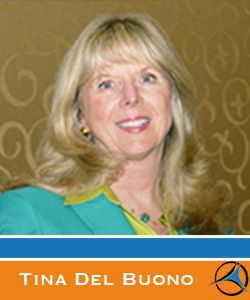 Tina Del Buono has performed “miracles” or almost miracles for many of our Top Practices members. She has taken practices that would’ve been bankrupt in 90 days and turned them around to become very profitable practices. She has worked closely with office staff to change a culture of frustration and drama into one of professional high performance. She knows what office staff need to do to solve their practice management problems. Have a practice management question? Nothing is going to change by itself. Nothing is going to get better if you don’t adjust how you’re managing your practice. Whether your team is 2 people or 30, just “working harder” isn’t going to solve your frustrations. The time to act is now. Each day that goes by without working to make your practice more efficient, makes your practice worse. Your staff needs to better understand the process, and that means breaking the process down into bite-sized, simple steps, making it easier to chew and swallow. In this way, they can manage your practice even more efficiently. Where are you heading now? – Take 5 minutes to think about where your practice is heading right now without any changes. Where do you want to go? – Now take 5 minutes to envision what your dream practice would be like if it was being run like a top practice. How will you get there? – It is overwhelming to think about making the changes necessary to have a top practice. Remember the bite-size steps? You do not have to reinvent the wheel. We have done the work for you. You just need to get in the vehicle and drive it to where it needs to go. You do not have to become a practice management expert. You don’t even have to teach your staff yourself. But you must be willing to not only learn what it takes to support them but also be absolutely sure that you aren’t part of the problem inadvertently holding them back. This process does not happen overnight; however, using the Top Practices Virtual Practice Management Institute “Slight Edge” principle gets the job done.